I’ll never forget when I first discovered the power of praying in tongues. It was 1953, and I was a 19-year-old student at a Bible college in Portland, Ore. I drove down to Salem with some friends to minister at a church, and after the preaching ministry all of us went to the altar to pray. As I was praying, the Holy Spirit began to move in a way I had not experienced. I could sense this was a sovereign move of God taking place and that I should let the Holy Spirit have His way. I sat down crossed-legged so I could be comfortable while I spent time praying continuously in tongues. In my natural mind it was like I was listening to two different people carry on a conversation. My spirit would pray through my mouth for four to five minutes in a tongue that sounded like the romantic soft language of French, Spanish or Italian. The prayer was expressed in a pleading tone. After a short period of time my spirit language would change to a deeper, harder, more authoritative tone like an African, German or Russian language. I didn’t understand the language in my natural mind, but my spirit conveyed to me the essence of what was being spoken. This continued for four solid hours. About four months later there was a great upheaval in the Bible college. Five of our teachers left, and the students were in great confusion. We didn’t know if the president of the Bible college was in the wrong or the five teachers. I was fasting for days and praying for hours at a time asking God to reveal His will for me. He finally told me to not be afraid or overly concerned because He already had it all worked out for me. Today the Lord might have said He “downloaded” to my spirit hard drive all the information and grace I would need from His Holy Spirit hard drive to navigate the situation. The more we pray in our spirit language, the more time and opportunity we give God to program our spirits to direct our thinking and actions. When we pray in tongues, mysteries are being revealed to our spirit man. The apostle John declared that the Holy Spirit would show us things to come, bring all things to our remembrance, enlighten and empower us to glorify Christ, manifest His life, and do the works that Christ did (see John 16:7-15; 14:12,26). If we want to be built up in God and edify our spirits with the charge of God’s power, then we need to pray often in our spirit language. All works of God are accomplished by His Spirit and His Word. We can be filled with His Word by studying the Bible, memorizing Scripture and listening to anointed biblical teaching and preaching. We are filled with His Spirit when we are baptized in the Holy Spirit, which gives us the gift of being able to pray in unknown tongues, or a spirit language. God the Father gave the world the greatest gift possible when He sent His son to die on the cross. But speaking in tongues is the greatest gift that Jesus could give the church because it activates God’s grace and power, and enables believers to live the life of Christ and fulfill their callings. Receiving the gift of the Holy Spirit is like a person obtaining a computer who has used only a manual typewriter. I’ve used a computer to write the last four of my 10 books, and I probably know only 10 percent of my computer’s capabilities. Our spirit language enables us to have spirit-to-Spirit communication with God. Speaking in tongues helps us fulfill the Scriptures that instruct us to be filled with the Spirit, led of the Spirit, walk in the Spirit, live in the Spirit, and worship the Father in Spirit and in truth. Our spirit language builds up our spirit man. Praying in tongues charges our spirits like a battery charger powers a battery. Jude 1:20 declares that we build ourselves up in the faith by praying in the Spirit. The apostle Paul also declared in Romans 5:5 that the love of God is poured into our hearts by praying in our spirit language. The gift of the Holy Spirit places a power-producing plant within us that generates the power of God like the Hoover Dam pumps electricity. The dam’s water gate is like our mouths, while the turbine inside the gate is like our tongues. The dynamo in the heart of the dam is like the Holy Spirit within our spirits. The fast twirling of the turbine’s blades is what causes the rotation of the great dynamo in the heart of the dam. The dynamo is what generates the power, but it’s the turning of the turbine that starts and keeps the dynamo going. This is what happens when we are filled with the Spirit, open the water gate of our mouths and allow those rivers of living water to flow. As the turbine of our tongues begins to churn out the language of the Spirit, it starts a dynamo activity in our spirits that generates the power of God within us. From this illustration we understand more what Jesus had in mind when He said, “You shall receive power when the Holy Spirit has come upon you” (Acts 1:8, NKJV). You shall receive power after the Holy Spirit enables you to generate the power of God by praying in tongues. The reservoir is filled with good evangelical water for cleansing, baptizing and fishing for new converts, but it does not produce any power until it flows through the water gate and turns the turbine. The spirit language is the activator of the gifts of the Spirit. In short, speaking in tongues grows the fruit of faith, which is the procurer of all God’s promises. The main reason most Christians do not receive the gift of tongues is their pastors have not taught them that it’s God’s will for them to have it. I’ve found that what a minister teaches about the gift of the Holy Spirit is based on the restoration movement from which his or her denomination emerged. There have been eight general restoration movements, all of which restored truths and spiritual experiences that were lost or changed due to religious ritual during the 1,000-year Dark Age of the church. The first restoration movement, called the Protestant Reformation, began in 1517 and challenged corruption in the Roman Catholic Church, especially the teaching that God’s forgiveness could be bought. The last, which I call the Saints Movement, began in 2007 and is seeing lay Christians perform supernatural signs to demonstrate Christ’s lordship over every area of life. The major denominations established to propagate the truths restored during the Protestant Reformation were the Lutheran, Episcopal and Presbyterian churches. The 1600s saw the beginning of the Baptist denominations. This was followed by the emergence of the holiness movement in the 1700s, which produced the Methodist Church. Then the divine faith healing movement in the 1880s produced such denominations as the Christian and Missionary Alliance. All the denominations formed before the Pentecostal movement began in 1906 weren’t given the revelation and responsibility to restore the gift of the Holy Spirit with speaking in tongues. Because it was not part of their restoration revelation and spiritual experience, the gift of tongues never became part of their church doctrine and accepted Christian practice. Therefore most historic Protestant and evangelical pastors, except for the charismatic ones among them, don’t teach that the gift of the Holy Spirit with speaking in tongues is for Christians today. But what happened on the day of Pentecost was according to God’s will and purpose. God the Father directed the Holy Spirit to give the 120 charter members of the church the ability to pray in languages they did not understand. Why did God do it that way? What would it accomplish for His church to speak in other tongues that originated from their born-again, baptized spirits and not from their natural learning? God chose speaking in tongues because the tongue is the most powerful and influential member of the body (see James 3:1-12; Prov. 18:21; 1 Cor. 14:2). The father of all miracles is God’s transformation of a sinner into a saint, and the mother of all miracles is the Spirit taming the tongue by having it speak a language that it didn’t learn and doesn’t understand. Just as Jesus gave many infallible proofs of His resurrection, the authors of the New Testament gave many infallible proofs that the gift of the Holy Spirit with speaking in tongues was for all believers during the Church Age and for all generations to come (see Acts 2:38). The Old Testament prophets spoke of the Holy Spirit’s gift of tongues. On the day of Pentecost, the apostle Peter referred to Joel’s prophecy to explain how the early believers were speaking unknown languages (see Acts 2:16-21). And in 1 Corinthians 14:21, Paul quotes the prophet Isaiah when instructing the church on the operation of the gift of tongues. In the Gospels, John the Baptist prophesied that Jesus would baptize His followers with the Holy Spirit and fire (see Luke 3:15-16). And in the book of Acts, the gift of tongues was the sign that convinced the apostle Peter that gentiles could become children of God without first becoming proselyte Jews (see Acts 10:44-48, 11:1-18). Jesus promised in John 14 to send the Holy Spirit, and the manifestation that came with His gift was not wind, fire or feeling God’s presence. It was speaking in tongues. God wanted it that way, and that should be incentive enough to receive the gift and speak in tongues (see Acts 2:4-11; 1 Cor. 14:5,39-40). If that isn’t sufficient for a believer, however, there’s another major reason for receiving the gift of the Holy Spirit: Because Jesus commanded His followers to wait for it (see Acts 1:4). He paid a great price to fulfill His promise. He died, rose and, in order to send the Holy Spirit with His gift of speaking in tongues, ascended back to the Father (see John 16:7). If everyone knew all the benefits of praying in tongues, they would want to receive the gift. The Holy Spirit is our helper, comforter, intercessor and faithful friend. Praying in tongues empowers us when we are weak, comforts us when we are saddened by life’s circumstances and enables intercession for us according to the will of God. When we don’t know how to pray as we should, we can turn the intercession over to the Holy Spirit, and it will go directly to the heart of the matter with the wisdom and power of God to meet the need. Using the spirit language, we can wage spiritual warfare against unseen enemies. Praying in tongues fills us with the love of God, and it enables us to manifest the fruit of the Spirit and the mighty gifts of the Holy Spirit. This is why Jesus told His disciples it was best for them that He go back to the Father and send them the Holy Spirit, who would bring them the greatest gift of praying in their own spirit language. How grieved the Holy Spirit must be when God’s people don’t receive His special gift. May all Christians fulfill Jesus’ command to receive the gift of the Holy Spirit and embrace all He has to offer. Bill Hamon is the founder and bishop of the Christian International Ministries Network, a coalition of more than 3,700 ministers. He is working on a book that will give 70 reasons that Christians should embrace speaking in tongues. I am so very thankful (eternally!) to God that I am finally made to see speaking in tongues are for real and for everyone! I used to be in a Presbyterian denomination rejecting tongues based on the teachings but thanks be to God, He miraculously led me to believe in this precious devotional language and since then I have experienced salvation of my loved ones so effortlessly within a year after interceding for them in tongues (as compared to past many years of praying in understanding and going no where!). This got me excited. And I am sure this great gift is also the answer to my long sought request to God concerning His destiny for me (I used to feel helpless not knowing what God’s purpose is for my life even many years after being in denominational church). I had a similar experience and I honestly believe this is supposed to be the norm for all believers. I was never taught this and as a result, for 25 years I was born again (an encounter without question in 1991), yet I walked without the fullness of the baptism of the Holy Spirit. One day while I was praying, The Lord came and Baptized me with fire, and I began speaking in tongues. I didn’t believe in tongues, I was previously confused about them, I attended a church that never discussed or believed in tongues, I feared them, and I didn’t even want tongues, yet there I was immersed by the Holy Spirit speaking in full blown tongues. Over the next year, Holy Spirit taught me about tongues, and my new infilling, and how deceived I had been for so long. Now, my prayers are so much more in line with God’s will and so much more powerful, and I am growing in other manifestations of The Holy Spirit like prophesy, words of wisdom, words of knowledge, healing, discerning of spirits, and more. My life is so much more filled with His purposes that I feel like I was keeping Him in a box most of my life, unable to move in faith. Now, I see so much more clearly and I walk in so much more obedience to His will and commands, not by my strength, but by the power of His spirit. He is everything to me…..
Can you please teach me how to receive Holy Spirit? And how to speak in tongues? What do I need to do ? What sort of spiritual training it requires? Bless you for desiring this gift! What do you make of those scripture verses in 1Corinthians 14 that say there are various spiritual gifts which the Spirit gives at will. Making it clear that not everyone in the Body of Christ will receive the same gifts? I can quote chapter and verse if you like but I have enough respect for you to realise you already know those verses I’m talking about! I’m genuinely interested in your answer to these ‘problem’ verses. Thanks for your questions E Kingsly! Regarding your questions about gifts mentioned in 1 Cor chapters 12 & 14: I’m not a bible scholar but there is so much I can share on this topic now that I’ve seen how these “gifts” work in my own life and in the lives of my friends. Keep in mind the word “gifts” does not even exist in the original text in both chapters (the Greek translation is “spirtuals” without the word “gifts”), but by adding that word “gifts” to the translations, there is an implication that I do not think was intended in the original text. I’ll explain this further below. That aside, why would Paul tell us to earnestly desire these “Spirituals” (1 Cor 14:1) if they were not for the entire body. 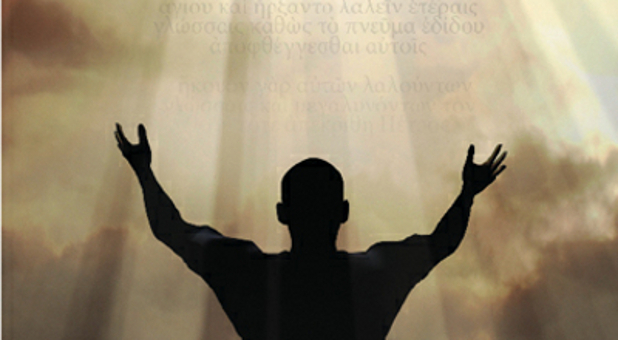 And regarding tongues, why would he say I desire you all speak in tongues and prophesy (v5), if that were not possible. The Corinthians were running things a bit hap hazard scaring away non believers so Paul was giving some correction to them. So when he addresses them in verse 23 mentioning how it would not be good for all of them to speak in tongues at once (implying that was possible all could do this there) and that it would be much better if all prophesied instead, (also implying that all can prophesy and why we should desire that particular “Spiritual” gift). Again at the end of the chapter he is encouraging the Corinthians to edify the church in that they should all desire to prophesy (meaning it is available to all) “39 Therefore, brethren, desire earnestly to prophesy, and do not forbid to speak with tongues”. On the matter of tongues, Paul seems pretty clear that he believed this was for all believers, and based on what happened when he went to Ephesus (ACT 19:1-6), it must have been a pretty big deal to him for these Christians to receive Holy Spirit and speak in tongues. I honestly believe this was supposed to be the norm for all believers. I was never taught this and as a result, for 25 years I was born again (an encounter without question in 1991), yet I walked without the fullness of the baptism of the Holy Spirit. One day while I was praying, The Lord came and Baptized me with fire, and I began speaking in tongues. I didn’t believe in tongues, I was previously confused about them, I attended a church that never discussed or believed in tongues, and I didn’t even want tongues, yet there I was immersed by the Holy Spirit speaking in full blown tongues. Over the next year, Holy Spirit taught me about tongues, and my new infilling, and how deceived I had been for so long. Back to the topic of tongues and prophesy; Since both of these are simply manifestations of the same Holy Spirit, I see that the real gift we receive is in fact the Baptism of The Holy Spirit, as also described in ACT 8:14-17 when Peter and John went to Samaria (although no tongues are mentioned, I believe what Simon saw was this manifestation causing him to want to purchase the ability to baptize like this, but that is only my opinion). So as I began to walk in the fullness of His manifestation, I now see that He does in fact distribute them as He wills, as needed, for any given situation. There are days we as a group of 2-4, are ministering to the poor and the sick and one of us may get a word of knowledge about a particular injury, another may pray for that injury so Holy Spirit can heal them, and yet another one of us may get discernment that they have demon to cast out, or one may prophesy over that person. Each person received a different manifestation of the Holy Spirit for that given situation, which was in fact a gift for the single sick person receiving the healing, the prophesy, or the deliverance. But we found that these manifestations, would come differently to us at different times, or if we were alone, any of us could flow in any or all of the manifestations at any given time, as Holy Spirit wills. 1 Cor 12:7 says: “But the manifestation of the Spirit is given to every man to profit withal.” I believe what I described above is a good real life explanation of what this means. If you can see it in this light, then you can see when we receive the baptism of Holy Spirit, we each are given the fullness of Christ in us with no restrictions. Jesus would not have asked us to follow Him, if we were given less than the same Spirit that raised him from the dead. If it is the same Spirit, then we are in fact given the opportunity to develop all the manifestations of the Spirit that Jesus had, and that Paul said we should earnestly desire. So for me, there is no problem with these verses. When Paul writes, in 12:11 “But one and the same Spirit works all these things, distributing to each one individually just as He wills.” I see this as a “situational distribution” where He knows best in every situation what is needed, and it is The Holy Spirit who distributes individually as he wills. So yes I believe that every Holy Spirit Baptized Christian can develop and flow in all the manifestations of the Holy Spirit, but Holy Spirit administers as He wills. That is not to say that some Christians my have a greater strength in one or two manifestations (or gifts), but they are all still available as we are each filled with the same Spirit. Hope that helps! It’s me best layman’s explanation I have to offer. I have a friend who wrote a much more technical article on this topic if you want me to share it. Just let me know.